Welcome to Hungry and Hollow, one of the largest Everclear resource sites on the Internet. As many of you have already figured out, Hungry & Hollow's name came from the lyrics of Everclear's first major mainstream hit, Santa Monica. 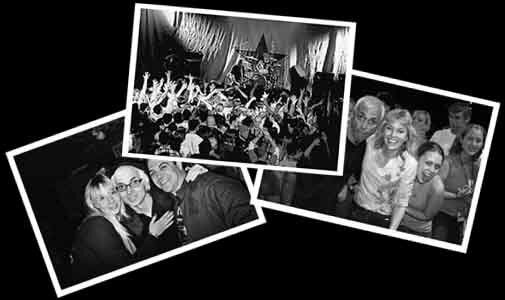 H&H was founded on 10/07/97 (the release date of Everclear's So Much For The Afterglow album) by myself, Eric Keown in an attempt to provide a comprehensive collection of anything and everything that is Everclear. As some of you may already know, I was the lucky fan picked to interview Everclear for MTV's FANatic (episode 105, the 5th episode of the first season). You can read about my whole experience on my Fanatic page. Enjoy the site! © 1997 - 2007 Hungry & Hollow All Rights Reserved.